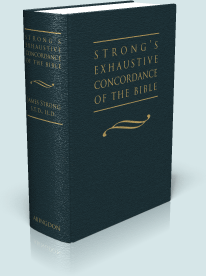 For 100 years, when someone wanted to find a verse in the Bible, the fastest way to do it was with a Strong's Concordance. Since 1890, when it was published by James Strong after being compiled by over 100 workers who diligently listed every occurrence of every word in the KJV, it has been The Concordance. No printed Bible study library was ever complete without a Strong's. 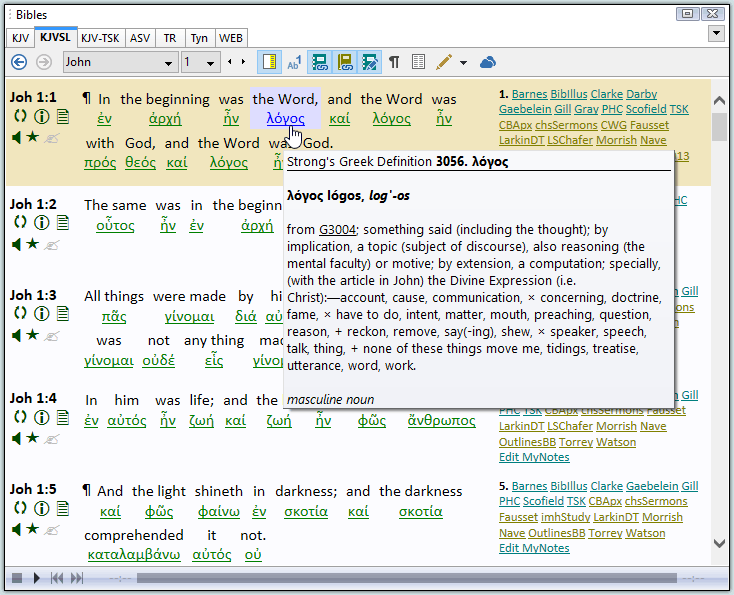 The need for an exhaustive concordance to the Bible is diminished now that computers can provide its essential function far more quickly and with much more flexibility than any printed concordance could. With SwordSearcher, the user only needs to type in a word, group of words, or phrase to instantly see every verse in which they appear. 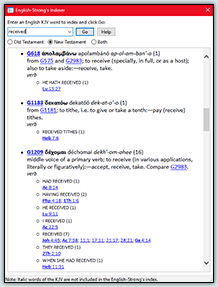 Further, with advanced functions like stemming or loose matching, Bible software provides the ability to instantly perform searches that are impossible with a printed concordance. However, there was more to Strong's Concordance than just a list of words of the Bible. In Strong's Concordance, each root word in the original language (Hebrew or Greek) was assigned a number. Next to each listing of an English word and it's location in the Bible, the Strong's Number was also listed, showing the reader the Hebrew or Greek word from which the English was translated. The Concordance included two dictionaries, called lexicons, which were indexed by these Strong's Numbers: A Concise Dictionary of the Words on the Hebrew Bible, and A Concise Dictionary of the Words in the Greek Testament. These dictionaries are included in SwordSearcher. How does SwordSearcher use Strong's Numbers? SwordSearcher includes a Bible text called The King James Version with Strong's Links [KJVSL]. The KJVSL is a form of "reverse interlinear" that links the Strong's numbers right into the KJV text. Holding your mouse pointer over a Strong's Link in SwordSearcher "pops up" the definition from Strong's Concordance. 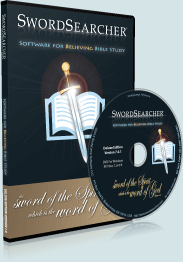 Further, SwordSearcher allows you to search the Bible by Strong's number, showing you every occurrence of the original language word in the Bible. 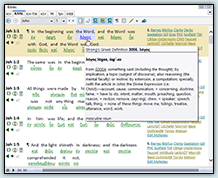 Finally, SwordSearcher's English-Strong's Indexer is an advanced word study tool based on Strong's numbers. 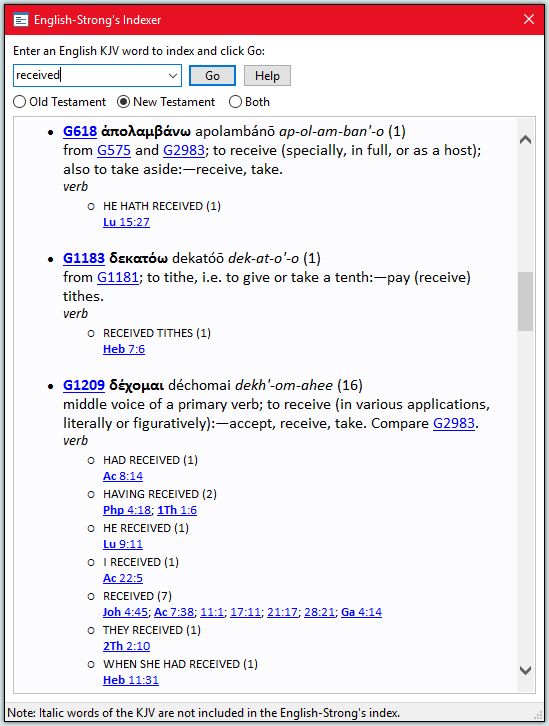 The ESI duplicates the function of another famous concordance, Young's Analytical Concordance, by allowing you to look up Strong's numbers by an English word and see each Hebrew or Greek word that it was translated from, as well as a listing of how those words were translated in other verses. The Strong's Greek and Hebrew dictionaries are in the SwordSearcher Deluxe Study Library as SGreek and SHebrew, respectively.